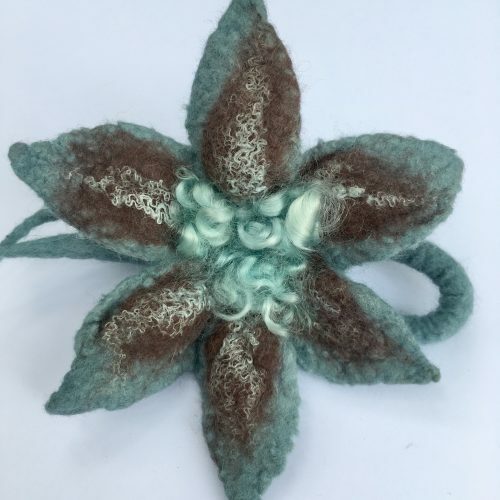 This hand felted brooch will enhance any outfit, hat or bag. I use fine Australian Merino wool and embellish it with mohair curls and silk. Measures: approximately 16cm x 16cm from point to point of petals.